I remember my first American football game so well. It was in the early 90s; I was at Texas A&M to do my graduate work in Civil Engineering and one of my classmates took me to an Aggie home football game! For the first few minutes of the game I couldn’t understand why it was called football because no one was kicking the ball — I digress — I won’t get into why soccer is not called football here in the US. Back, to my first football game — there were so many traditions and rituals, that by the time I went into the stadium with 80,000 people, I was totally indoctrinated into thinking like an Aggie by strange rituals like the entire student body standing throughout the game or swaying back and forth when the band played a particular song, or when deafening “yells” erupted…I was so exhausted by the end of the game and felt so culturally removed from everyone around me that to this day I don’t get American football or the rituals surrounding it. Let us ask ourselves this question: are these rituals necessary? After 20 years of mental and social maturing on my part I would say, if a ritual is meant to make one identify with and root for a team, then these rituals achieve that purpose. They do give people an experience of enthusiasm, loyalty, and unity to their team/school. Speaking of rituals, what about the Brahma Kumaris surrender ceremony? What is its purpose? Is that a worthy purpose? And, does it achieve that purpose? A young woman performs the surrender ceremony because she has decided to create a life-long relationship with God. The ceremony strengthens her relationship with God and the community views it as a spiritual marriage between the young woman (it is almost always young women, although there are male BKs who have also participated in surrender ceremonies) and God. A young woman participates in the ceremony after she has lived in a Brahma Kumaris center an extended period of time. Thus her participation is completely voluntary. No one forces innocent young women who don’t understand what they are getting into. They are making informed decisions as young adults. I know the whole ritual looks somewhat strange – what with the way the young women dress or the gifts/dowry that some families give to the Brahma Kumaris. And yet, every country, every culture, and indeed every sub-culture has unusual rituals — the strangeness of a ritual to outsiders does not necessarily diminish its importance. To me, the Brahma Kumaris surrender ceremony is like a marriage ceremony. The young woman is marrying — she is surrendering herself to God. This profound commitment needs some kind of ritual to mark the occasion. Ceremonies mark rites of passage in human society, and we feel a deep need to solemnize and ritualize important stages in life. Because a young woman is committing herself to something so mysterious as God, it is even more important that a ceremony mark this passage in her life. This ceremony accentuates the reality of a commitment which in most cases is life long. The dowry system has deep and ancient roots in Indian culture and tradition. When I was growing up in India, so many of my friends’ moms started planning and saving for their daughters’ dowry from their birth. Traditionally in India, sons inherit the father’s property and girls receive a dowry. In this social context, the dowry is a security for the girl. It is the way the girl’s family shows its love and support for her. In the case of a Brahma Kumaris surrender ceremony, some young women’s families choose to give some money or property. The organization does not ask for it. It is not a way to bribe or buy the groom as so often happens these days. Nowadays, we all know that many people have exploited this custom of dowry, leading to all kinds of human suffering and oppression. The Brahma Kumaris in the surrender ceremony is not endorsing a corrupt system of dowry nor replicating it in a different context. Rather they are rescuing and restoring its original pure motive and virtue: The dowry was an act of love meant for the well being of the daughter. What do parents do when after planning their daughter ‘s wedding and dowry from her birth she instead decides to marry God? Naturally, they give that dowry to her so she can use it in her life of spiritual service. The Brahma Kumaris respect each individual’s deeply rooted cultural traditions. To not do this, could easily damage the person. Rather than try to throw away cultural conditioning, we learn to spiritualize it. Though an outsider might not perceive the dowry/gift giving as spiritual, the person undergoing the ceremony does experience it as an integral part of a deeply spiritual and sacred process. As in the case of worldly weddings, or for that matter American football, or sorority initiations, or political ceremonies, or the rituals of any culture or subculture, we must observe and grasp the ritual in its own context. Thus we may ask about the purpose of a ritual, and whether it accomplishes its purpose in its own context. One might even ask: Is this purpose worthy of a noble human life? From a ‘neutral’ sociological perspective, rituals that inspire commitment to a football team, or to God, may seem analogous. But if we dare to think about ultimate purposes and our ultimate identity, if we ask the ‘big questions’, will football and God really be the same? 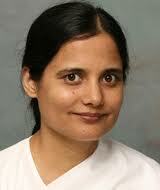 « Who are the Brahma Kumaris – Cult or Community?